Marriage God's Way: Are You Making Deposits or Withdrawals? Are You Making Deposits or Withdrawals? John Gottman is one of the pre-eminent clinical psychologists working in the area of marriage relations. 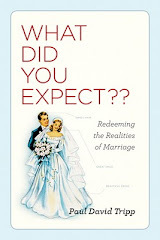 His studies are often quoted as some of the most reliable studies in the area of marriage. He contends that in the best of marriages the ratio of positive interaction verses negative interaction is five to one. That is in a given day for each time a spouse feels overlooked, ignored, hurt, or in some other way devalued by his/her partner they must have five positive behaviors to make amends. Christian authors often use the analogy of a bank account when talking about this subject. A positive comment or action is like a deposit in ones account while a negative interaction is described as a withdrawal. Thus you must strive for five deposits each day for each withdrawal that is made. A recent posting by Mort Fertel entitled “Creating Positive Memories for a Happier Marriage” captures the importance of maintaining a positive balance in one’s emotional account quite well. When people reflect on how their relationship is with their spouse, they draw on memories. If someone only remembers arguing, conflict, and lack of communication, the person is going to feel as though their relationship status is poor. If you determine you have a bad relationship, you are less likely to work on the relationship and less likely to expect it to be anything but bad. However, if someone recalls many positive, fun memories, the person is more likely to describe having a healthier relationship. This can be helpful so that during tough times, the person is more hopeful and is willing to work harder. Your attitude about your relationship impacts your marriage on a daily basis. If you feel as though your relationship is unhealthy, you are less likely to respond positively when your partner makes a request. You are also less likely to give positive affirmations to your partner. You are also less likely to try and get your needs met in the relationship. These sorts of problems can create more difficulty within the marriage. Creating positive memories does not have to involve expensive and extravagant vacations. Instead, it might include going camping for a night, taking a walk, going for a canoe ride, hiking in a park, or even working on a home improvement project together. The goal is to enjoy each other’s company while doing something that is memorable. Take turns finding ideas of activities you can do together. Consider the time and money that you spend doing these activities together as an investment in your relationship. Positive memories will add up to create a healthier marriage over time and give you a reason to work through the difficult times that are bound to occur in any marriage.